Welcome to the First Day of Summer! We had a great ride in Augusta last Saturday, followed by a great breakfast at the ride leader's house. Many thanks to Connie for both the ride and the hospitality. The Trek had great weather, too, and I trust they've all recovered and are ready for more, because there's more great riding ahead. Please join us in Mount Vernon this Sunday to count ponds and have fun on multiple 50 mph descents (there are potentially three). Whether that has any benefit to cardio-vascular training I'll leave for experts to judge. I've been informed that this ride has 3,230 feet of climbing (by one rider's electronic calculations) and there are several 15% grades (short ones, though) on Sandy River Road. 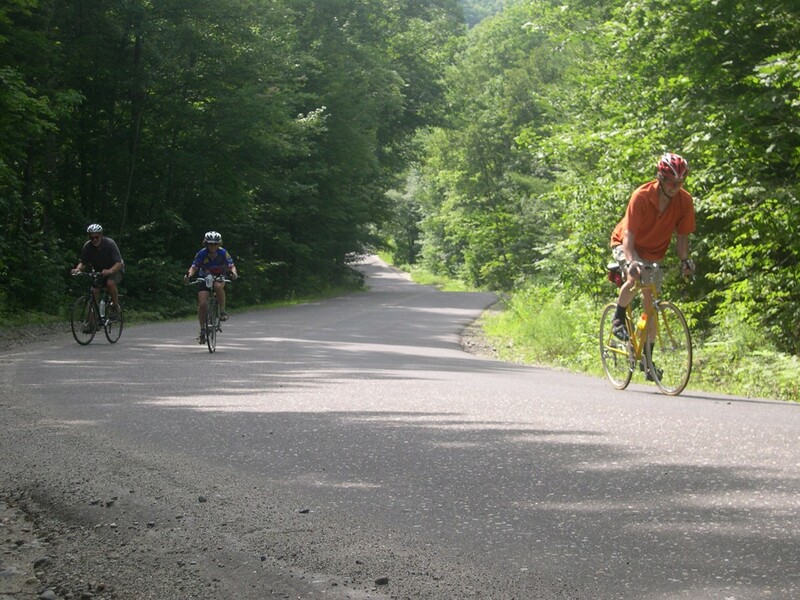 The ride also has some unique scenery, with a delightful (and flat) run along the Chesterville Esker - part of the route was laid out by glacier! We may also get together after the ride at the cafe in Mount Vernon.